On Wednesday the 14th of November Uncomfortable Beats brings a diverse mixture of electronic music to Fitzroy’s Bar Open as apart of it’s renowned monthly residency. 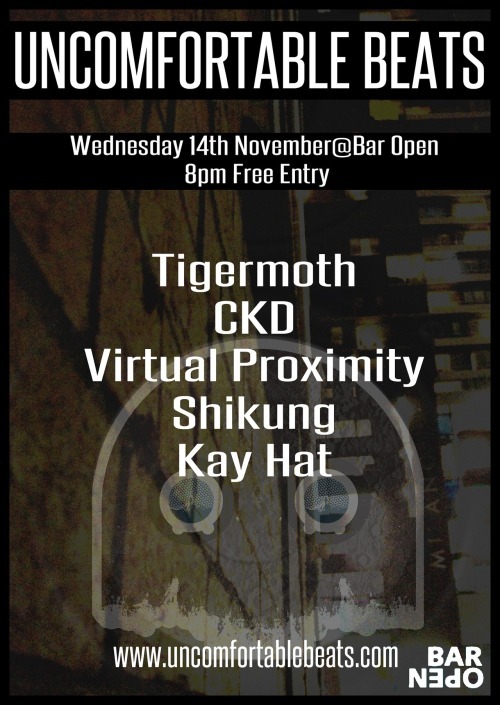 Drop by to hear the original sounds of Chiara Kickdrum (CKD), Virtual Proximity, Tigermoth and DJ’s ShiKung and Kay Hat. Entry is free and beats are plenty.